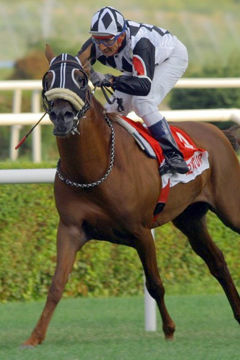 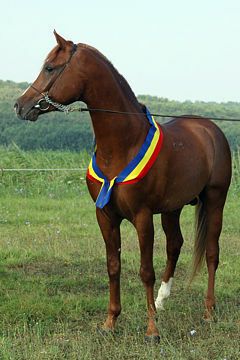 TARAGUN, Chestnut mare, *1992 (Shogun/Taretta). 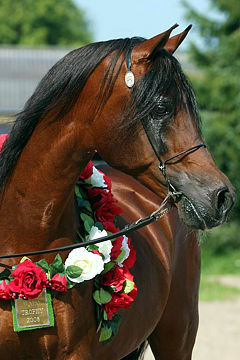 Bred by Mrs. Pamela Evans. 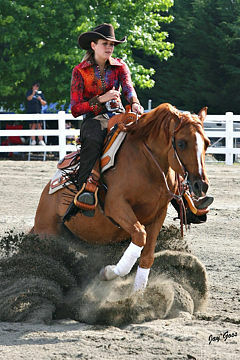 Owned by Miss Evie Peel. 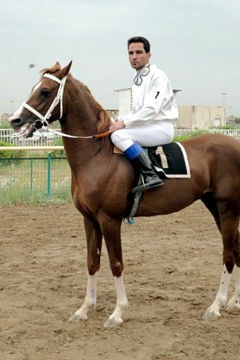 Strain: Kehaileh Dajanieh (Dajania, 1876). 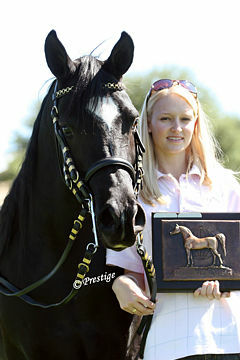 The Arab Horse Society is delighted to announce that this year’s award goes to Taragun for her outstanding performance in the tough sport of Eventing with her 13 year-old owner/rider, Evie Peel. 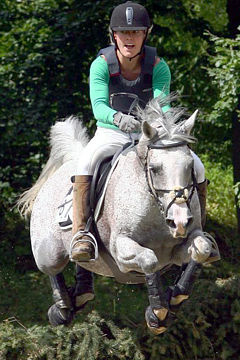 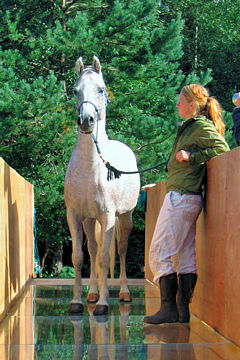 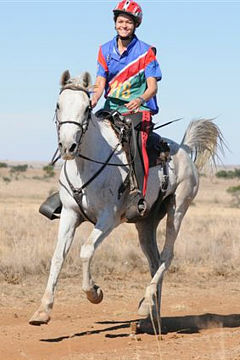 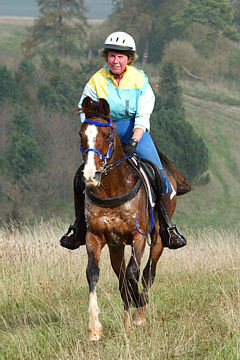 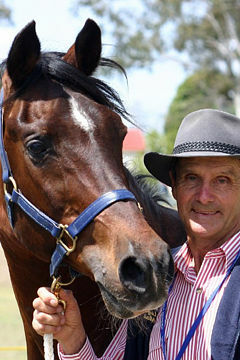 Eventing combines the disciplines of dressage, cross-country jumping and show-jumping, either all in the same day or, at the larger events, spread over 2 or 3 days. 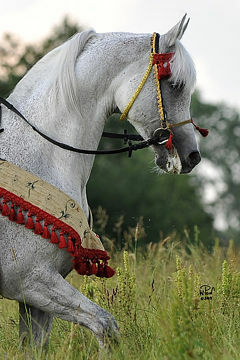 Together, Taragun and Evie’s partnership has proven the versatility of the Arabian horse by competing with success against other breeds and adult riders at the Pre-Novice level. 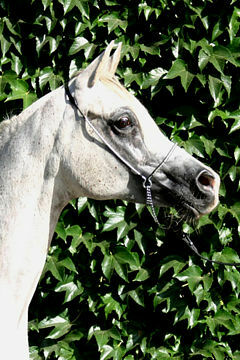 By the international Show winner Shogun, and of an old English pedigree with Crabbet lines, the very attractive Taragun was originally purchased as a broodmare by Mrs. Peel for her Templars Stud in Lancashire. 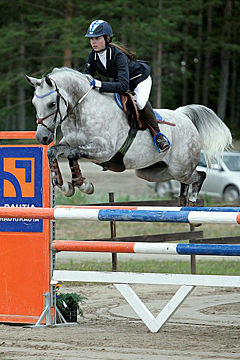 However, her daughter Evie enjoyed riding Taragun so much and the pair did so well with their showjumping, that her broodmare career was put on hold. 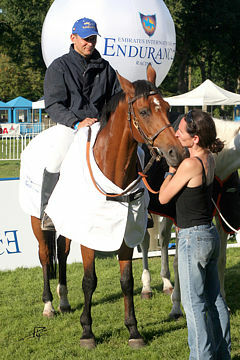 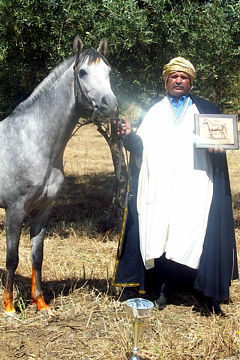 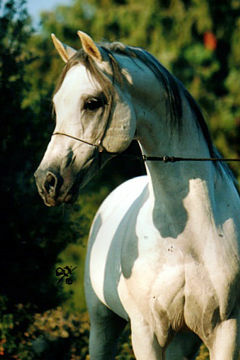 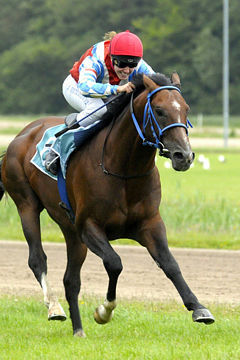 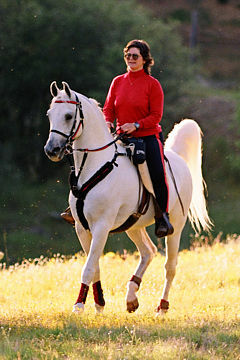 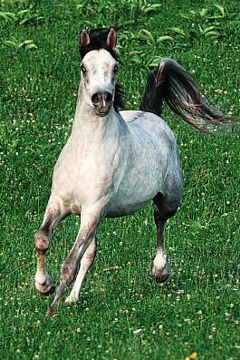 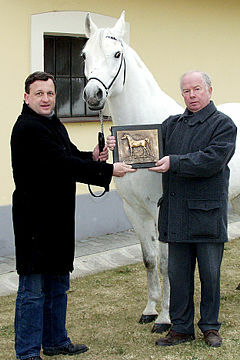 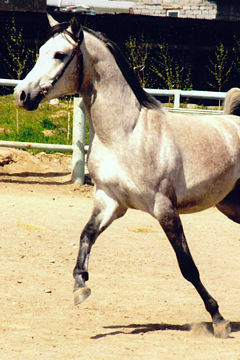 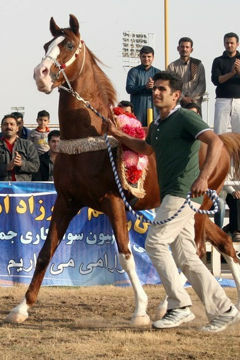 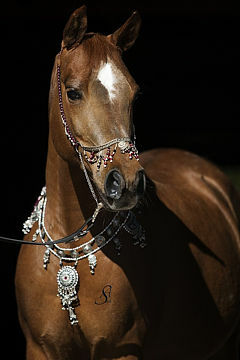 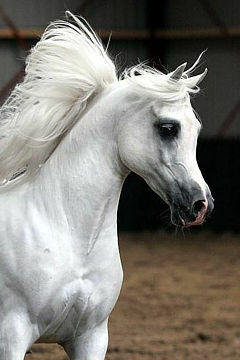 Taragun has a wonderful temperament, and is a really excellent ambassador for the Arabian breed. 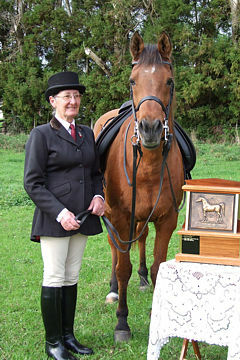 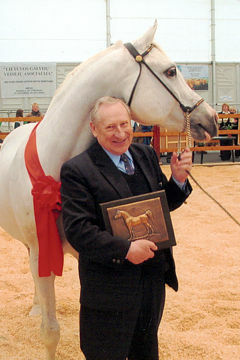 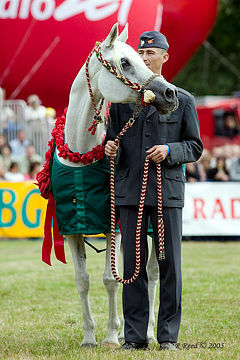 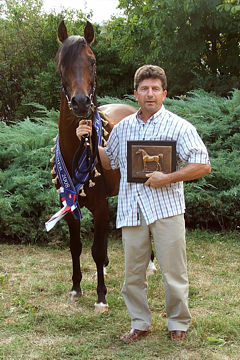 presented with the WAHO Trophy at the AHS National Championships Show 2008.